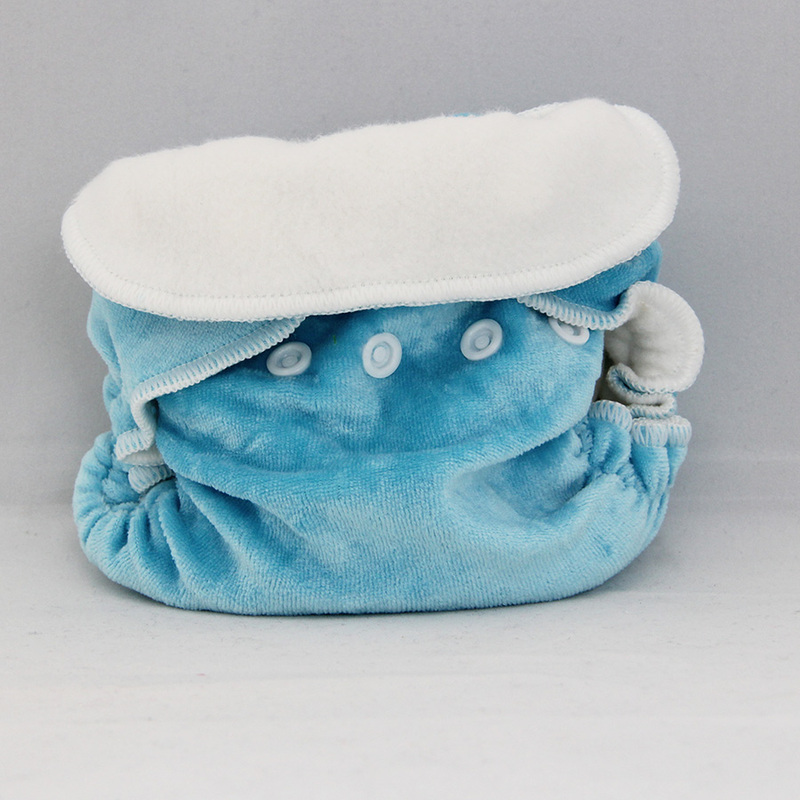 Many parents prefer to purchase a specific newborn nappy that will fit straight from birth. While OSFM nappies can fit many babies, newborn nappies fit with greater ease and less bulk on small babies. We have therefore developed our Newborn Honeypot nappies. 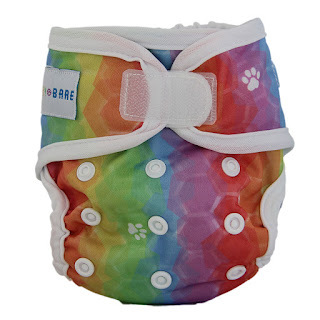 These nappies are a fitted nappy with plenty of adjustment that will fit from 2–6+ kg. 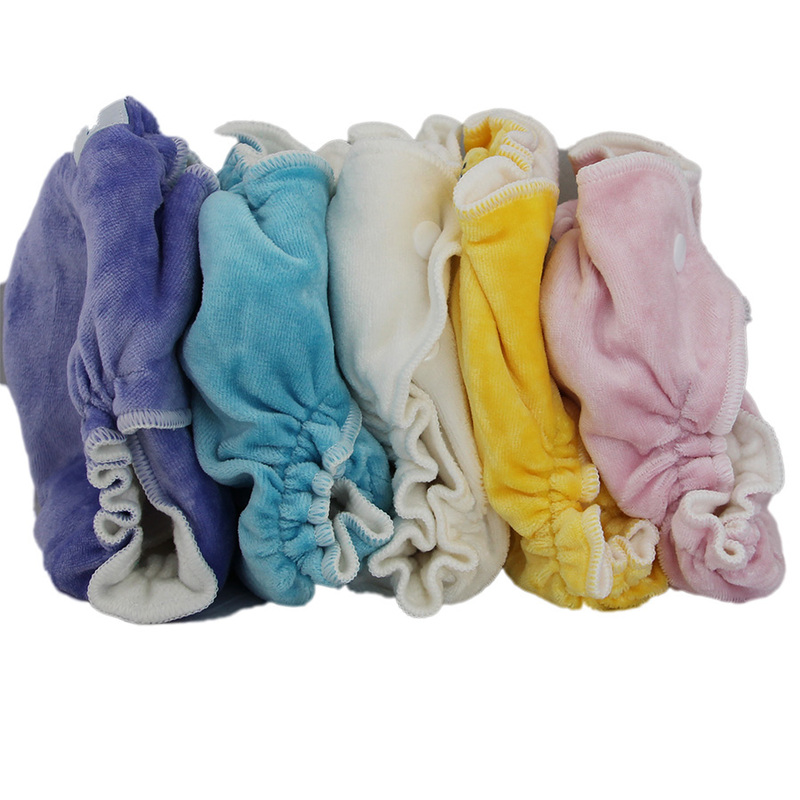 The nappies are made from a soft bamboo velour and bamboo fleece. The nappies are super soft and can be used with or without a cover. A cover must be used to make the nappy waterproof, and for extra containment of newborn poos. 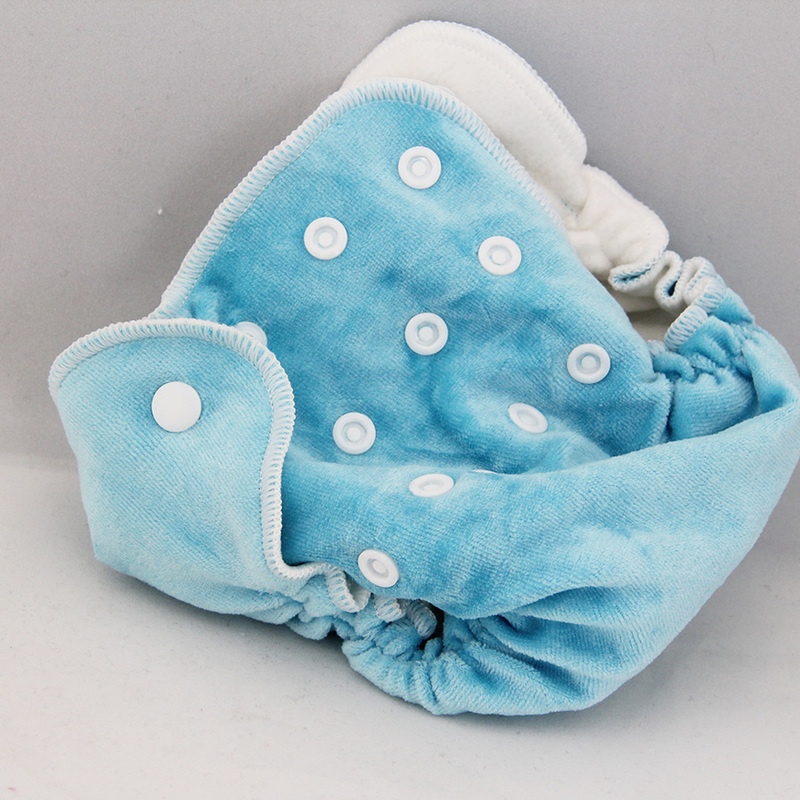 Each nappy features 4 absorbent layers through the wet zone. 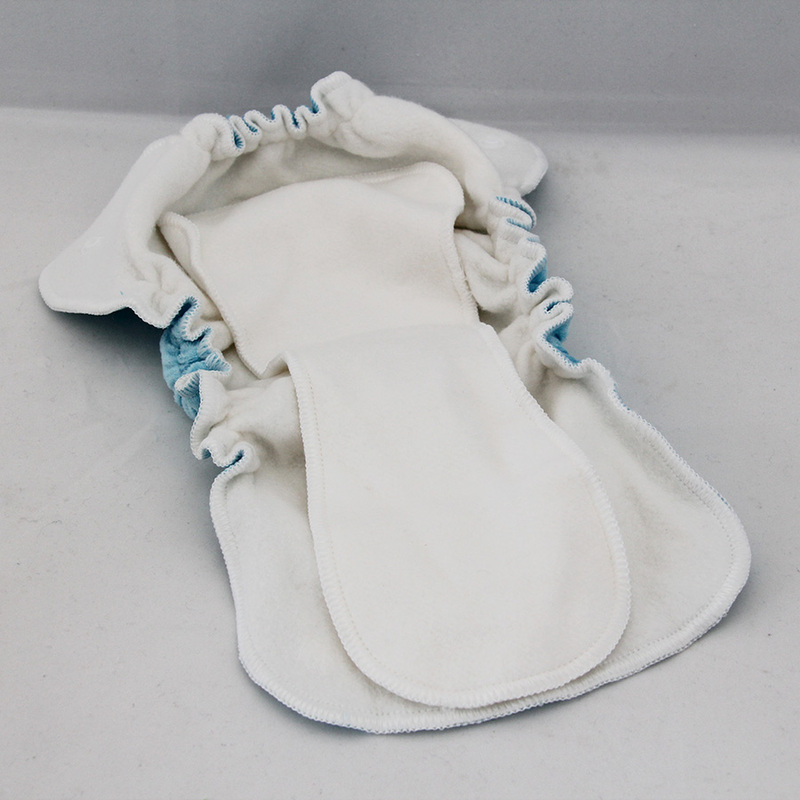 The whole nappy is absorbent so this also gives extra benefits over a AI2 or AIO style where there is only absorbent layers in the wet zone. 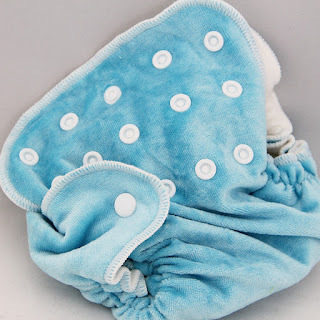 The nappy features a tongue of fabric that lifts for faster and easier drying time. The fabric against the skin is a natural bamboo fleece. No synthetic fabric is used in the nappy. 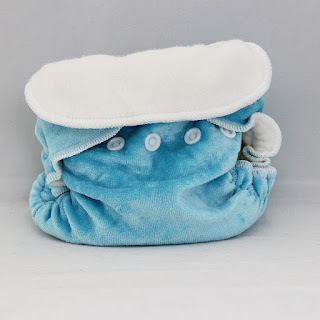 On the outside of the nappy there is bamboo velour which is very soft. The nappies come in a choice of colours. The nappies can snap down to accomodate the umbilical cord in the early days. Size adjustment works by finding the correct leg setting. You have three row of snaps to choose from to get the best fit for your baby. Premmie babies may need the very bottom level of snaps, where as larger newborns will start on a higher fitting level. Where you use the lower two rows of snaps you can fold the top over the nappy over for a neater fit. 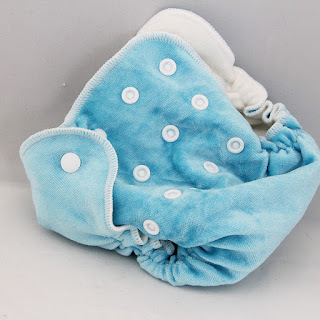 To make the nappy waterproof and give better protection against newborn poo leaks, use a honey pot newborn cover. These covers can also be used with newborn prefolds, a folded birdseye flat or any other absorbency that fits. They give a nice trim fit for small babies and secure with velcro closures for a quick change and easy fitting.